September has been a good month, with particular highlights coming from the fantastic events in Asia, including the Asian Games in Jakarta, Indonesia and the Sailing World Cup in Enoshima, Japan. I hope you all had time to follow these events and support our top athletes! It was impressive to welcome 35 Olympic medalists among 466 sailors from 44 nations in Japan. During my time in Asia, I had the opportunity to meet with some key stakeholders from the sailing community and discuss about the promotion of our sport in the region. It is clear that ASAF is working hard to engage with youth and further develop sailing together with the support of the MNA’s. As many of you have heard, this month we received news from the International Paralympic Committee (IPC) about their decision not to include parasailing in the Paris 2024 Paralympic Games. Given the great efforts of our staff, we are extremely disappointed by this decision. But rest assured that we are reviewing the process and remain committed to continuing to support to our para-sailors. Unfortunately, it is with great disappointment that I share the news that parasailing has not been reinstated by the International Paralympic Committee (IPC) for the Paris 2024 Paralympic Games. The shocking decision came following an IPC Board meeting in Madrid. In order to understand the reasons of this decision, the World Sailing leadership is planning to meet as soon as possible with the IPC’s leadership to further discuss this decision. 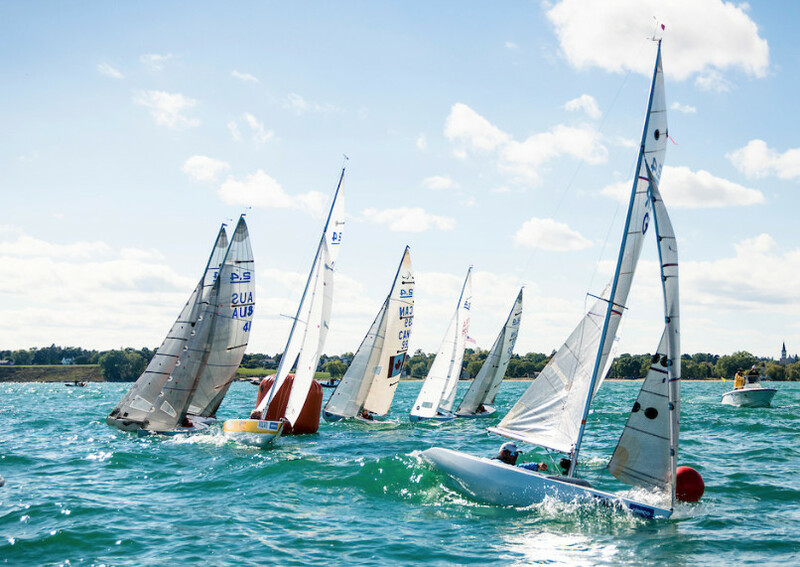 However, I would like to highlight the fact that at the 2018 Para World Sailing Championships, which was held in the USA, a record 101 sailors from 42 nations were registered to race across four events. I want to congratulate all of our sailors and MNAs, this is by far the highest number of nations to compete at the Para Worlds and far above the criteria set by the IPC. This shows that, despite this setback, a lot of great work has been done and will continue to be done for the benefit of our sport and our sailors as we grow and promote Para World Sailing globally. During the time they spent onsite, we had the opportunity to give them a first-hand account of our sport. This included providing them perspective on the evolution and development of saiWorld Championship as well as for making the sailors and the sailing community feel at home! During my visit to the Asian Games, I had the opportunity to join the Annual General Meeting (AGM) of the Asian Sailing Federation (ASAF). It was truly impressive to see how far the development of sailing in this region has come. I am glad to see how the cooperation between MNA’s and ASAF is helping not only to promote sailing through common projects both at the grassroots and elite levels, but also to provide support to new MNAs like Timor and North Korea. In addition to the many topics that were raised at the AGM, a few in particular stood out. This included the selection of Olympic events and equipment, it was clear in the discussions that many members understand and support the newly selected events and see the importance of gender equity and the development in mixed sailing. But an equally important point raised by ASAF members was the importance of accepting event changes and minimizing the impact on equipment change. During the meeting points were raised on how to arrive at a change of equipment for two events versus a change of equipment in seven events (worst-case scenario). This is something that the World Sailing Board and Council are also discussing and taking into account. As this area of the world continues to look at new ways of develop our sport, an interesting event was tested during the Asian Games - a new relay format for mixed one person sailboards. This event gave some insight into a new relay format to consider for the future, especially as other sports are exploring new competition formats – for example Golf is also considering mixed team events with PGA and LPGA players. 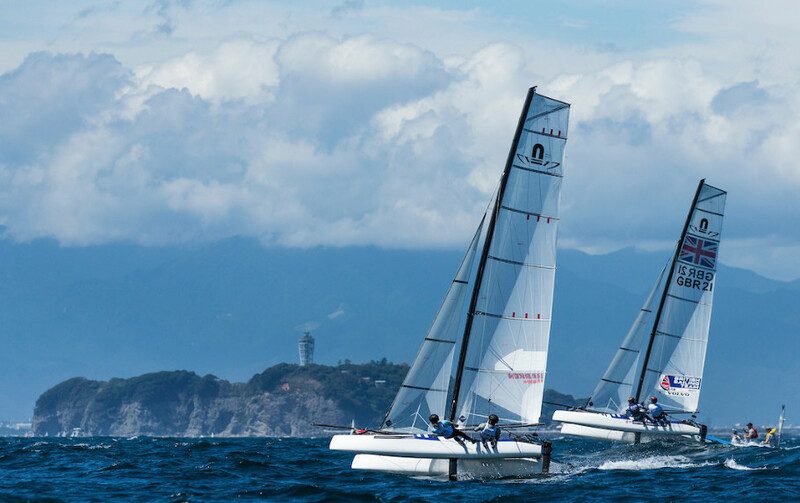 What an impressive World Cup and first test event for the Tokyo 2020 Games in Enoshima! With 35 Olympic medalists and numerous World Champions, 466 sailors from 44 nations were competing and getting familiar with the waters of the Tokyo 2020 Olympic Sailing venue. Allow me to say what a great job the Japanese Local Organising Committee and the Japan Sailing Federation (JSAF) did onsite, I can assure you that we will have a great venue for the Sailing World Cup and the 2020 Summer Olympic Games. I am very happy with the venue, as it has undergone renovations in order to make it more attractive for spectators and will create a wonderful festival atmosphere. During the World Cup, I also had the opportunity to discuss ideas with team leaders and coaches about our events strategy 2021-2028. I would like to share some of these insights with you, the ideas and recommendations include: To have a structure based on graded events - the grading being measured on the top ranked sailors competing, to appoint three pinnacle events: the Olympics, the classes World Championships and the Sailing World Cup final, to provide the Sailing World Cup final events with the same format as the Olympic venue, where sailors qualify through rankings and to combine the Worlds and European Championships for the Olympic classes in order to increase the profile of our sport, ease the clash of events in the calendar and reduce costs for MNA’s. We will continue our discussions and consultation with other stakeholders for the events strategy over the coming months. Furthermore, we also had a Board Meeting in Enoshima where we received reports from Commissions, Committees and Working Parties. I would like to use this opportunity to state how impressed I am with the work done so far. We received reports from the Chairman of the Coaches’ Commission, Michele Marchesini and the independent Chairwoman of the Governance Commission, Maria Clarke. Updates from the Coaches Commission gave input regarding the challenges of keeping a fair field of play and minimizing the number of cases going to the jury where coaches are involved and updates from the Governance Commission provided an overview of the hard work done to date in order to keep to the ambitious time line. We can conclude from Mrs. Clarke’s presentation that, in terms of international sports governance development, governance models were key issues and concerns have been identified which have led to clear guiding principles and recommendations on structures for presentation discussions at the annual meeting. Looking ahead to the annual meeting, the Council will be making some very important decisions on equipment for the 2024 Paris Olympics. 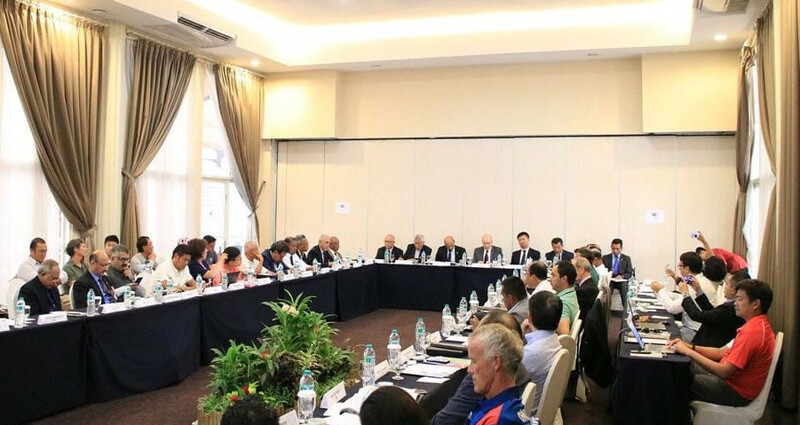 The ongoing process and the different steps have been discussed with various stakeholders, in particular the IOC at various meetings and occasions. During the visit of the IOC President and various IOC members in Århus, positive feedback was received from their talks with our sailors in terms of the importance of gender equality and mixed sailing in order to connect with youth and attract more participants. I am proud to say that during the time onsite in Århus with our IOC friends, we had the opportunity to learn that World Sailing was clearly aligned with several key IOC priorities including: focusing on gender equality, keeping the sport relevant, encouraging mixed development, enhancing youth engagement. Another positive point was related to our management of our event’s environmental footprint and our focus on sustainability, the impact we have been able to make while keeping costs a minimum is truly impressive. With all this progress being made, it is important that we continue to stay focused. There are many moving pieces, however we should not succumb to changing our events and equipment process for the 2024 Olympic Games as this will only be adding unnecessary pressure to our 10 Olympic events and to our 350 athlete allocations. I was very much encouraged by the discussions and meeting I had with many MNA’s over the last month who expressed their support regarding the work done so far by World Sailing. I also wanted to address some of their concerns, in particular Regulation 23 and our financial budget assumptions. Currently the process is underway with regards to Regulation 23, and this will be addressed at the Annual Meeting at the end of this month. With regards to our financial budget, although we have made good progress during this quadrennial with reducing our reliance on IOC revenues, our commercial income assumptions for the quadrennial have not been fully achieved, which has led to a reforecast of the budget. We have been able to make cost savings to largely offset the reduction in income. I am happy to report that, although commercial targets were not met as planned, we are continuing to positively engage with new sponsors and exploring new sources of income. Lastly, I would like to make a note regarding fake news and misleading statements being shared via email. As you know, we have to be very careful with public information and making sure that it is verified and reliable. Despite some news, I can assure you that World Sailing is working on developing our great sport every single day! See you all very soon in Sarasota!